«The exhibition Drawing Ambience. Alvin Boyarsky and the Architectural Association presents around 50 masterworks of contemporary architectural drawings penned by celebrated architects and assembled by the long-term chairman of the Architectural Association School of Architecture in London, Alvin Boyarsky» – opere di, tra altri, Frank Gehry, Zaha Hadid, Daniel Libeskind, Rem Koolhaas e Bernard Tschumi. 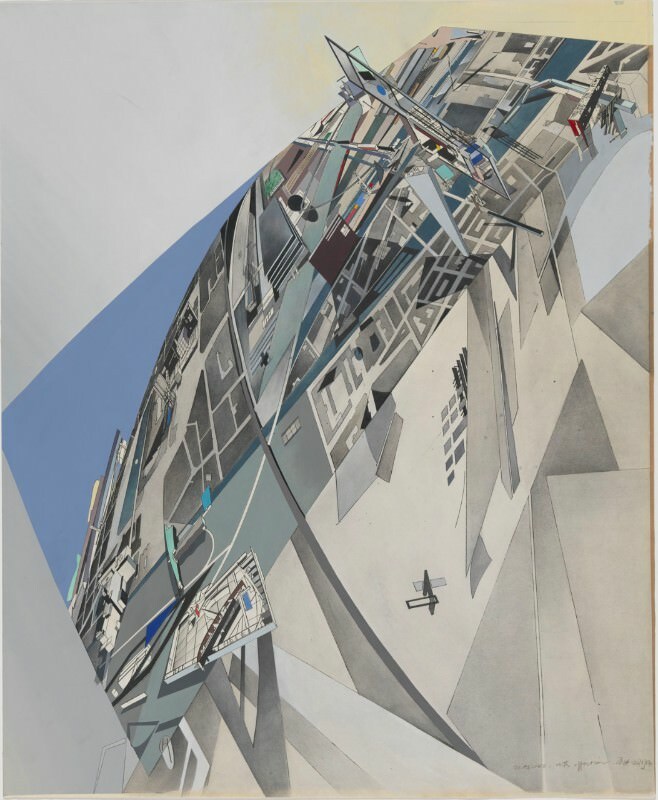 Zaha Hadid, The World (89 Degrees), 1984, print with hand applied gouache and ink wash on paper. crediti immagini courtesy tchoban-foundation.de – immagine homepage: dettaglio da Alex Wall, OMA, The Pleasure of Architecture, 1983, color screenprint on paper.